Religious leaders in Cuba have come under intense pressure from government officials to ensure their congregations vote ‘yes’ in the referendum on a new constitution, scheduled for 24 February. There are concerns that the current draft of the new constitution significantly reduces protections for freedom of religion or belief (FoRB), as well as notably separating and weakening references to freedom of conscience. CSW has documented a steady increase in FoRB violations over the past decade. High ranking communist party officials summoned Christian, Yoruba and Masonic leaders in Santiago on Tuesday 12 February to confirm that they and their congregations would all be voting to adopt the new constitution. Religious leaders in towns and cities across the island have told CSW that they have been summoned to similar meetings throughout the past week. 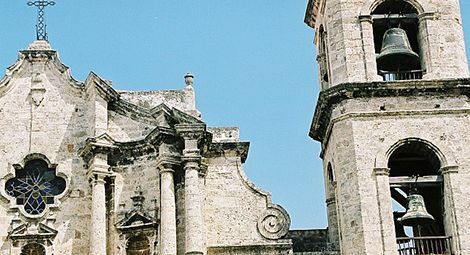 The meetings followed unprecedented public statements from some of the largest Protestant denominations, including the Eastern Baptist Convention, the Methodist Church of Cuba and the Assemblies of God, as well as from the Cuban Catholic Bishops Conference, criticising the content of the new constitution. Sources in Cuba told CSW that Lázaro Expósito Canto, First Secretary of the Cuban Communist Party in Santiago (CCP), and Roberto Noa Frómeta, the CCP official who oversees religious affairs in the same region, told the religious leaders on Tuesday “…that the enemy was trying to destroy the Revolution, that a unanimous ‘yes’ vote was needed and that they would do everything in their power to ensure that things went well.” The CCP officials then asked the leaders directly how they and their members planned to vote. On 8 February, a statement published on a public Facebook page attributed to Mariela Castro Espín, daughter of Raul Castro and a member of the National Assembly, referred to the Catholic Church as “the serpent of history” and called for a strong state response to the Catholic Bishops Conference statement. 1. In Cuba, organisations like the Freemasons come under the authority of the Office of Religious Affairs.